Get out of the kitchen! Which is exactly what I've done these past couple of weeks so that Corey could demolish (and start rebuilding) it! 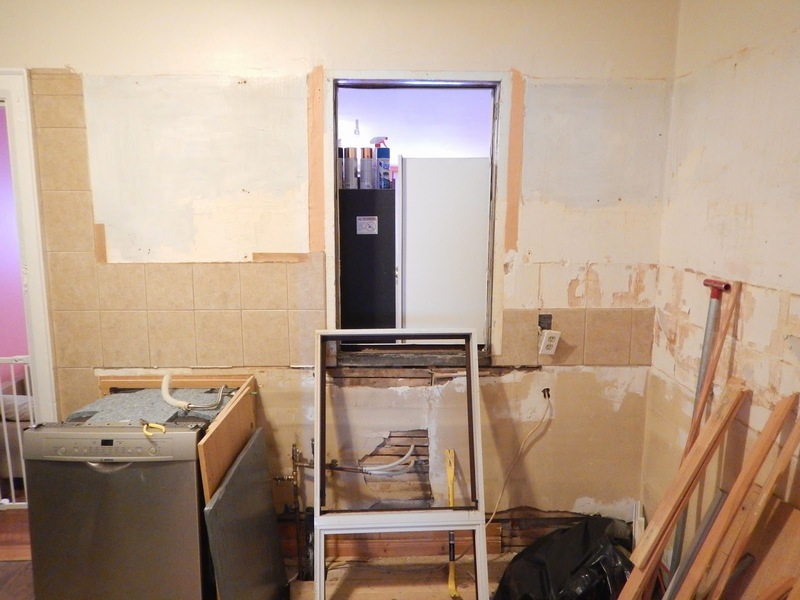 I know it's a crazy thing to do just weeks away from the arrival of our baby but I just couldn't live with this kitchen anymore. 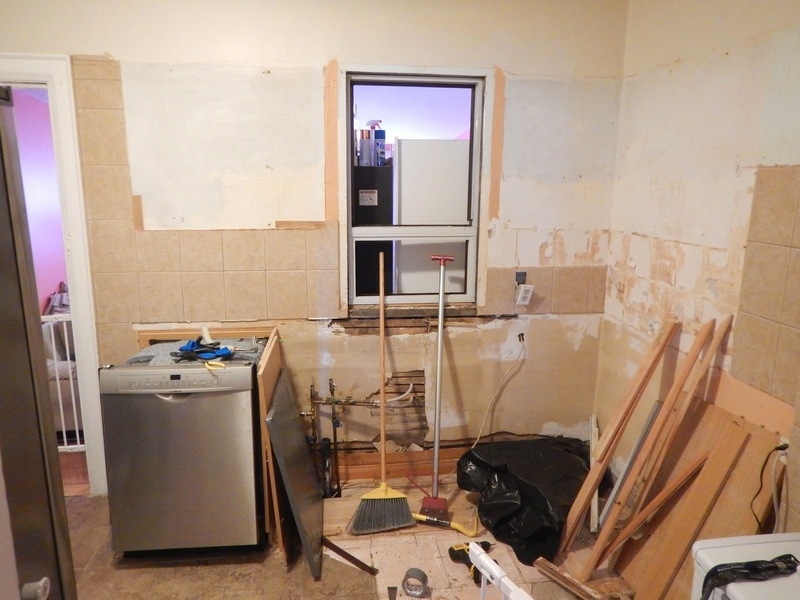 Since we bought this house, we've known that the day we demolished our sad kitchen would be a reason to celebrate! We dislike everything about it from the outdated cupboards and counters, the random window from before the family room was added to the back of the house and lack of storage space (we don't even have drawers) to the grungy and cold tile floors! In the time we've lived in our new/old house, we have updated the fridge and bought and installed a dishwasher, but we've held off on a new oven (because I wanted built-in) so we've been cooking with our old gas stove (which takes roughly 3 days to boil a pot of water) and oven (which produces the most unique cakes, which are liquid on the inside and black around the edges) for a year and a half. Let's just say that when Corey started tearing it apart, I could have cried! Corey covered the window in duct tape before removing it for the sake of safety. Smashing it would have been satisfying, though! Excuse the pink family room in the background. We'll get to that in 2015. 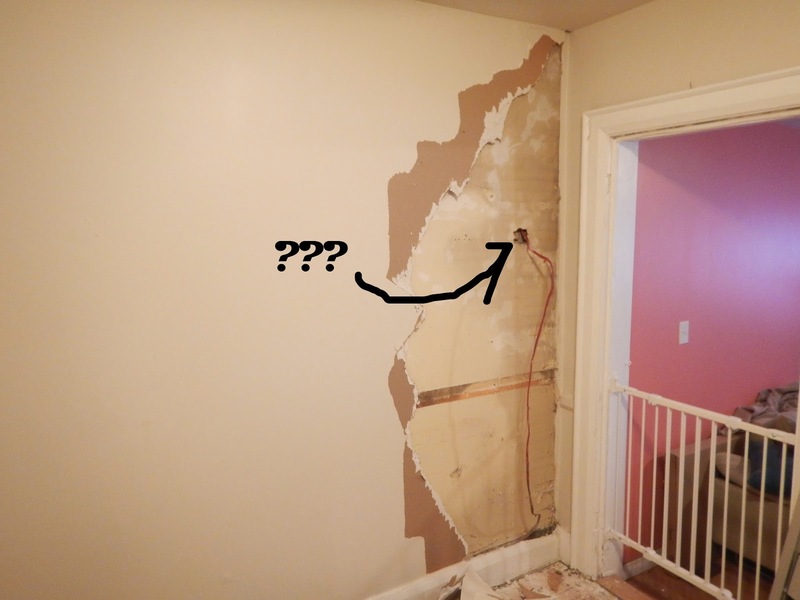 Okay, what's that wire that we found hiding behind a random piece of drywall? Apparently is was connected to.... nothing! Old houses are full of surprises. It was a little anticlimactic, but we got our share of excitement when Corey found a live wire that a previous owner had run up through the floor. Yikes! And speaking of the floor... 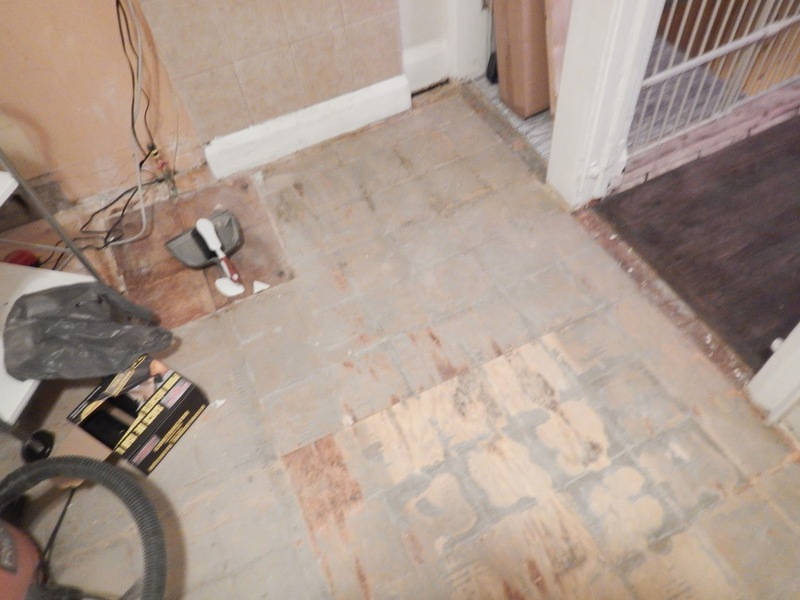 I don't know why we were surprised when there was more than one layer of tile. 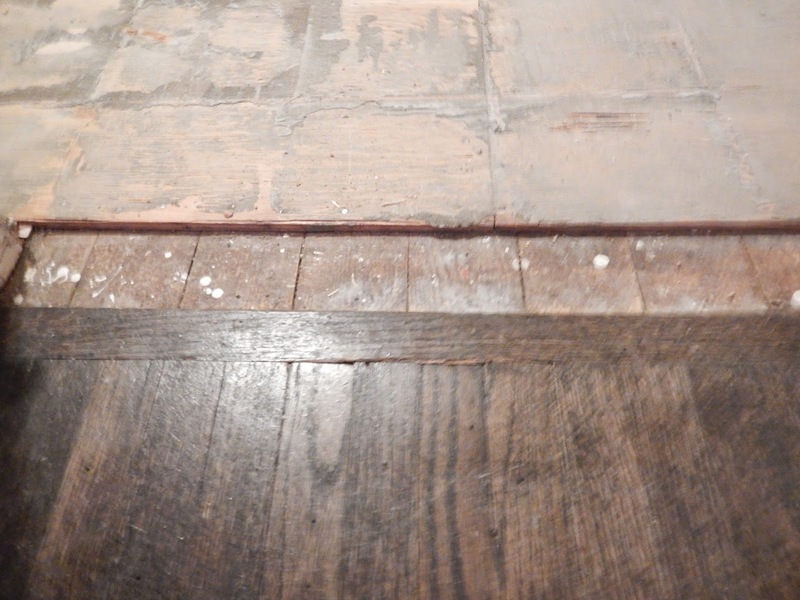 For those of you who recall our first days in the house, we tore up the flooring upstairs and in the living and dining rooms to expose the hardwood underneath. 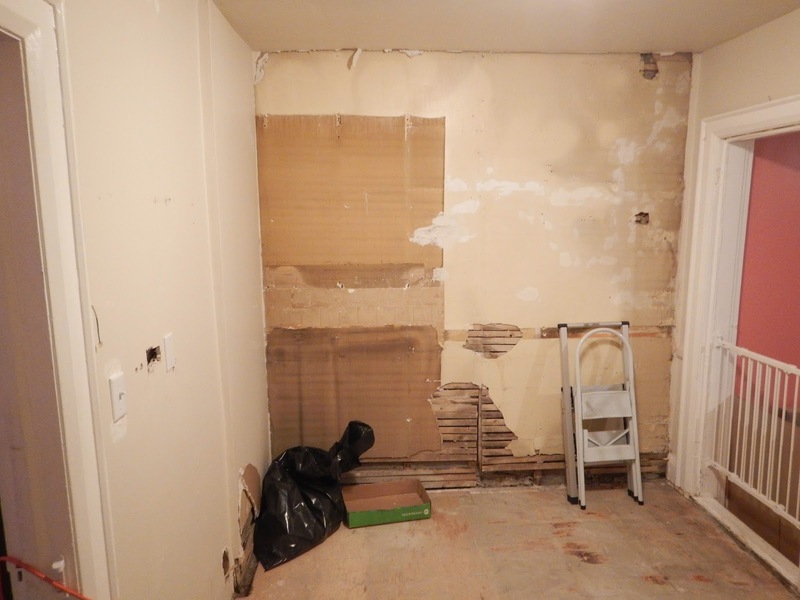 We were shocked at the number of layers of flooring that we had to pull up before we were rewarded with hardwood and even more shocked when we took the old flooring to the dump and discovered that it weighed over 1000 kilograms! 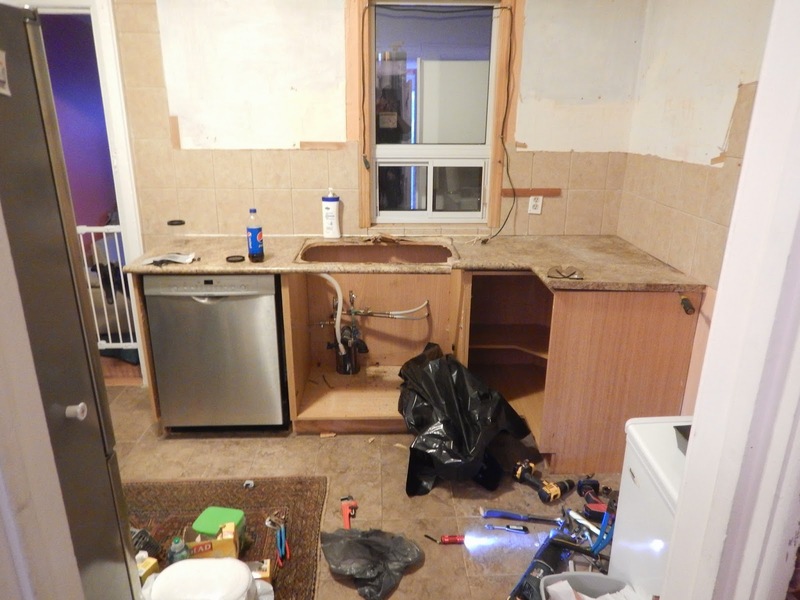 Well, the kitchen wasn't so different. 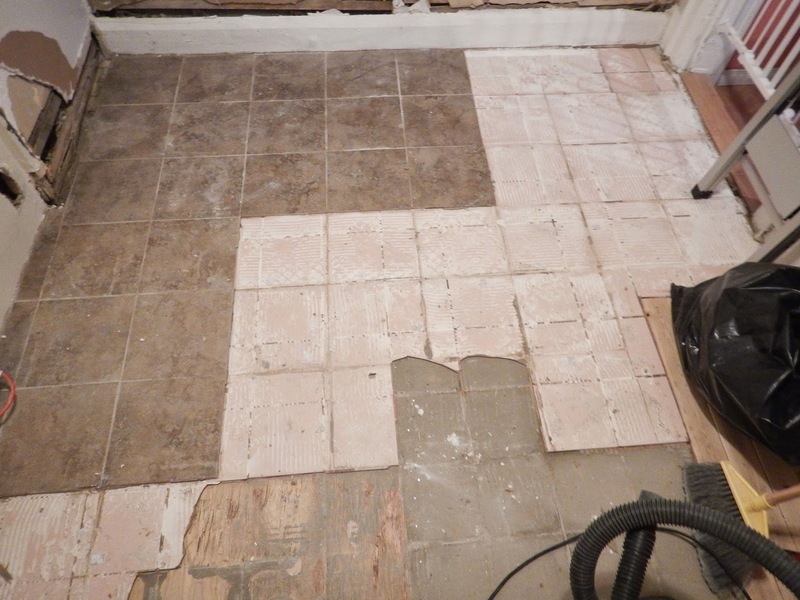 Under the ceramic tile was a layer of even uglier ceramic tile. 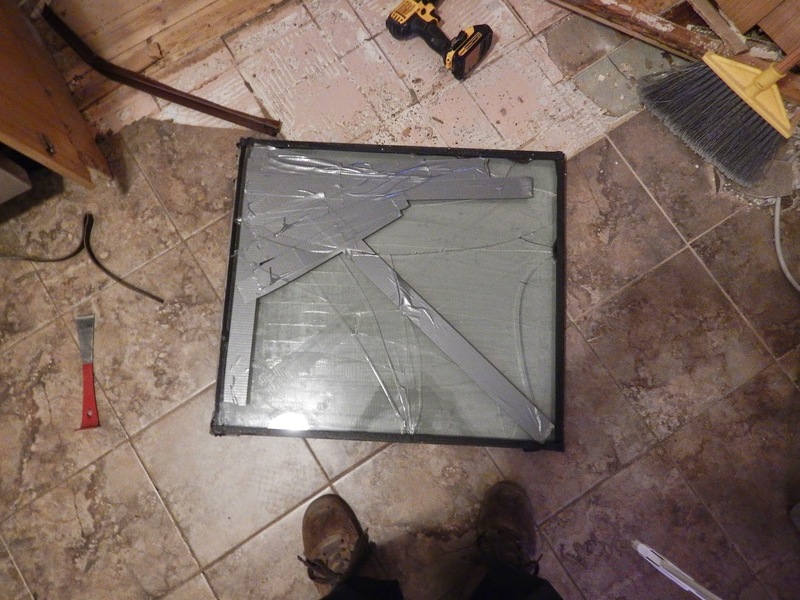 Under that was a layer of peel and stick tile. 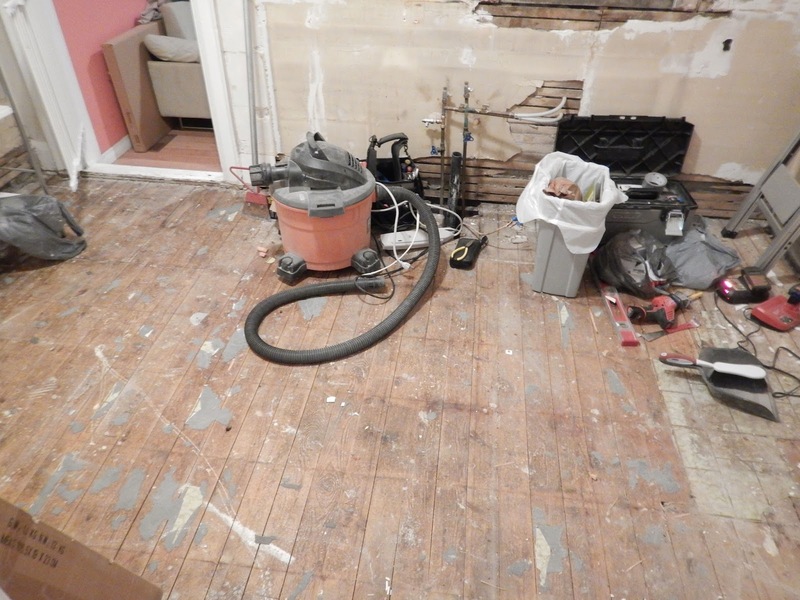 Under that was a layer of the nastiest looking subfloor I have ever seen. Under that were some random boards nailed throughout the room... perhaps to ensure that the floor was nice and uneven. Aaaannnnd the green grass grew all around all around and the green grass grew all around! Corey managed to remove everything but it was clear that we'd need a new layer of subfloor before we laid our new kitchen floor down to ensure a proper, even base. 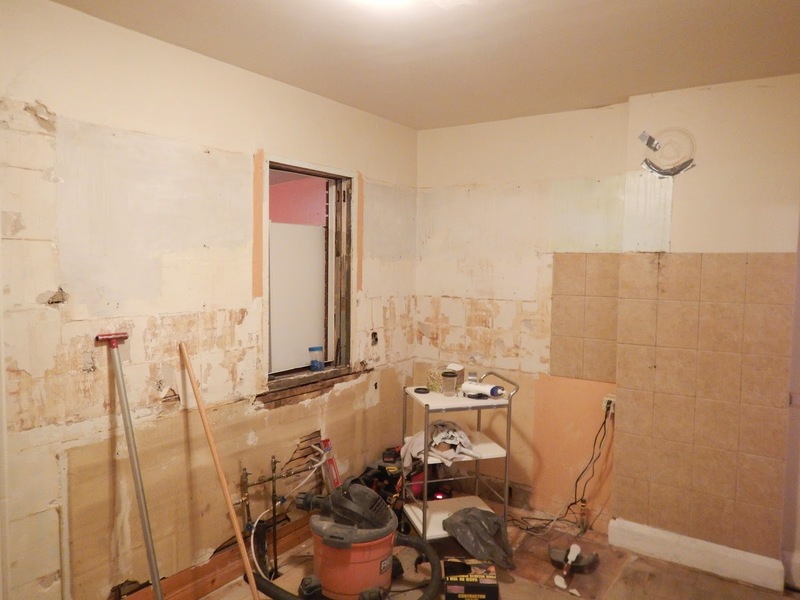 It's certainly not pretty, but to us, it's a blank canvas!